These words certainly resonate across all departments, but the score for a film puts the final touches on a project in a way that really pushes audiences emotions further than the story or visual could alone. The score builds suspense when our hero is in danger, propels us to tears during a warm embrace, or maybe even stays muted with subtle instrumentation during dialogue. In Pixar's next film Coco, Director Lee Unkrich has teamed up with composer Michael Giacchino and conductor Tim Simonec to bring their special touches to Coco. Of course, with this film honoring the Dia de los Muertos holiday and focusing so closely on music, it is only fitting that the film combines Giacchino's score along with some authentic (and regionally significant) recordings from Mexican musicians as well (read additional details in our previous post). 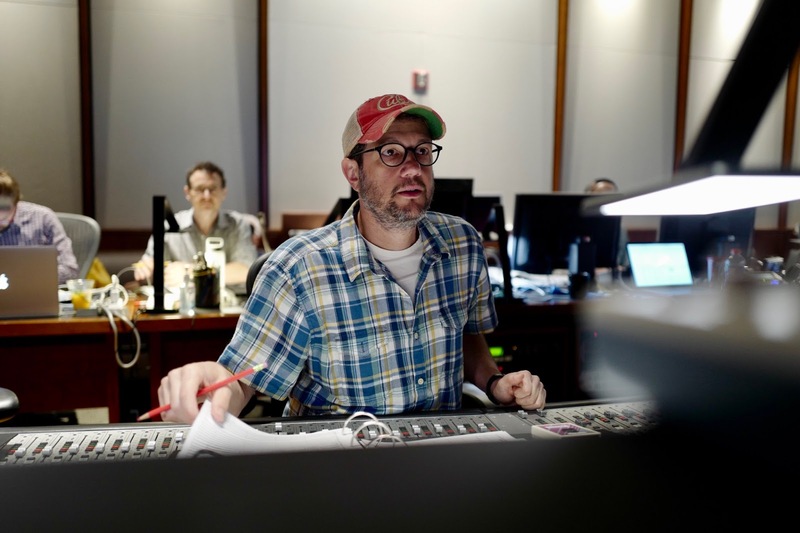 Working with Pixar may be comfortable for Giacchino as the score for Coco is his eleventh project for the studio (with his twelfth project will be Incredibles 2 in 2018). Lee is definitely expressing his love for the orchestration already, noting on Twitter, "Hearing the first Pixar Coco music played with the full orchestra. Beautiful." If you're not following along with Lee Unkrich on Twitter, be sure to do so as he's been sharing some wonderful looks at the team behind the score. We have shared some of our favorite tweets over the last three days of scoring — view all of Lee's updates on Twitter. The orchestra has gathered and the recording sessions have started on Pixar's upcoming film, Coco! Catch images and details from the sessions in our post.